Super Grammar: All systems are Go! The new Second Edition copy of Super Grammar is ready for action! 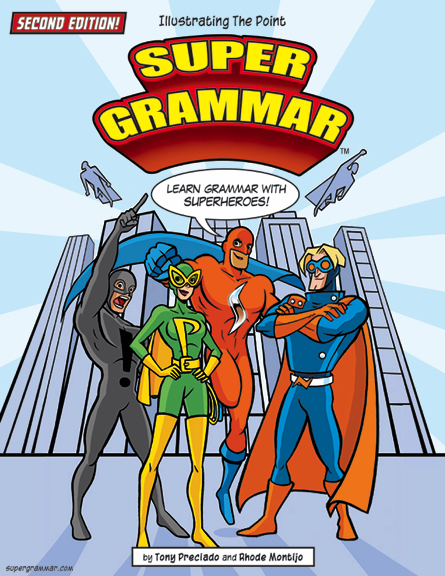 Of course, the second edition is the very same Super Grammar book that we all know and love! But since this is a second edition, we did take the opportunity to make some improvements! We've expanded the content of several superheroes. The sections for the Pronoun, the Verb, the Comma, the Apostrophe, and the Conjunction have all been powered up with some light revisions and some helpful additions. In the end, these upgrades will serve as extra defense against the foul ways of the Sabotage Squad. But as you know, expanded content and light revisions are pretty standard with second edition copies of books, but there is a pretty big change that we did make to Super Grammar, and we're excited to share it with you—we've gone digital! That's right, brave educators! Super Grammar is evolving and adapting to a new digital format, which means that our second edition book (and any other content we produce), will now be made available as a user-friendly PDF file. And because we decided to switch over to this new digital format, it has allowed us to enlarge our sizing (from the smaller 6"x9") to the larger, printer-friendly 8.5"x11" format. By the way, having this larger format is what gave us the additional room to add the expanded content that we mentioned above, so we're pretty happy about making this change. And where can you get a copy of the new, full-color, 178 page, digital and downloadable Second Edition copy of Super Grammar? 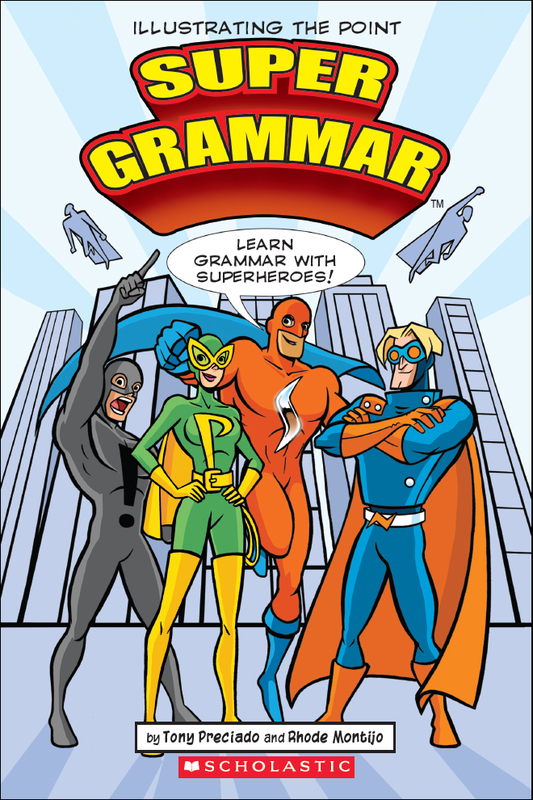 Super Grammar books, worksheets, and other printables. If you're new to Super Grammar, be sure to use the Preview option on our books. It's a great way to take a look at Super Grammar (our text book) and The Grammar Missions! (our workbook) before deciding if it's the right choice for you. We're also offering our Power Bundle, which includes both of our Super Grammar books and our Super Grammar mini-posters, all at a discount. As always, thank you for your support—and may your sentences always be strong!